A gourmet guidebook and an irresistible collection of almost 100 recipes, directly from, or inspired by, the fascinating era of the Edwardians. Includes special menus for entertaining friends, with interesting facts and stories of life in Downton Abbey and Titanic times. Whether planning a Birthday Tea, a Christmas Tea, a Christening Tea or even a themed Downton Abbey Tea, the pleasures of celebrating and sharing tea time come alive as Penelope shares her enthusiasm, knowledge, and inspiration for all things tea. 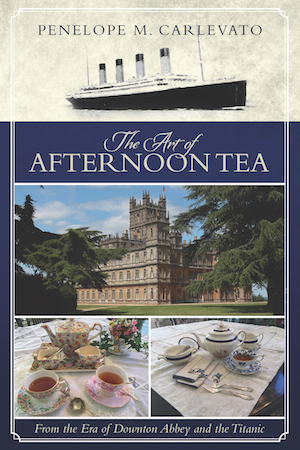 Discover the pleasures and rituals of high tea and afternoon tea in the grand English style of Downton Abbey’s ambiance and the traditions of the Titanic’s first class customs. The Art of Afternoon Tea is a wonderful book! From the very first page, Penelope Carlevato captivated me with her enthusiasm for tea and her extensive knowledge of both the drink and the ceremony. I thoroughly enjoyed the fascinating history and tradition of tea and delighted in the references to Downton Abbey and the Titanic. With a myriad of details, stories, recipes, and menus, Carlevato paints a vivid picture of the Edwardian era. I loved this charming book and highly recommend it to tea enthusiasts and Downton Abbey fans alike! British-born and an avid tea lover, Penelope grew up with tea as a way of life. Author of several books, including Tea on the Titanic and First Class Etiquette, and founder of Penelope’s Tea Time, she has written many magazine articles (including, currently, a column for Leading Hearts Magazine); co-hosted the web TV series Cooking up Wonders; and is known as the “Ambassador of Tea.” A passionate traveler, Penelope leads groups on an annual “Taste of Britain” tea tour to the British Isles. She and her husband reside in Colorado, have three grown children, and grandparents of 11 future tea-lovers. 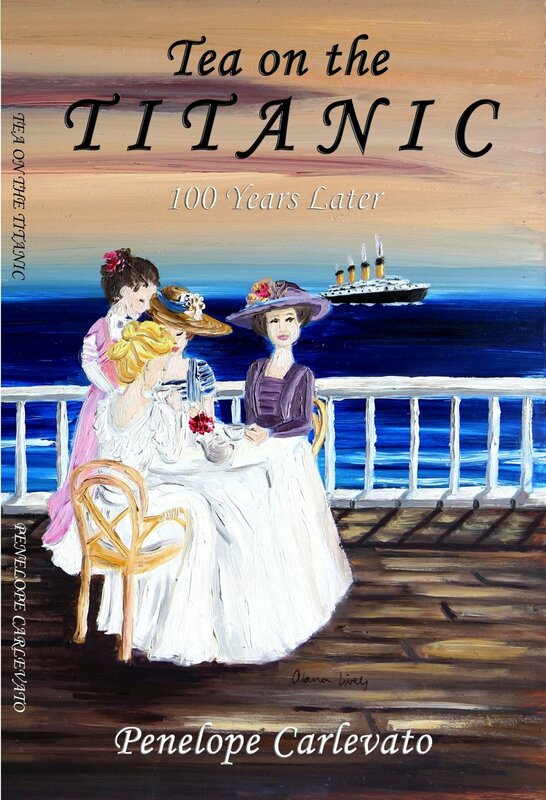 Tea on the Titanic is a lovely book! Interesting and informative, this book offers readers a look at the origin, history, and traditions of tea. 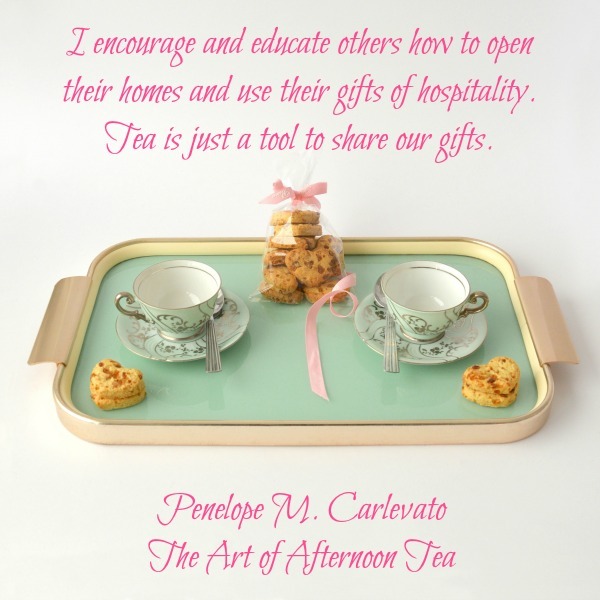 Penelope Carlevato’s extensive knowledge and experience with tea are evident, as is her passion. She weaves personal experiences with those of history in a way that engages the reader. There is a wealth of information that is presented and numerous menus and recipes are included. 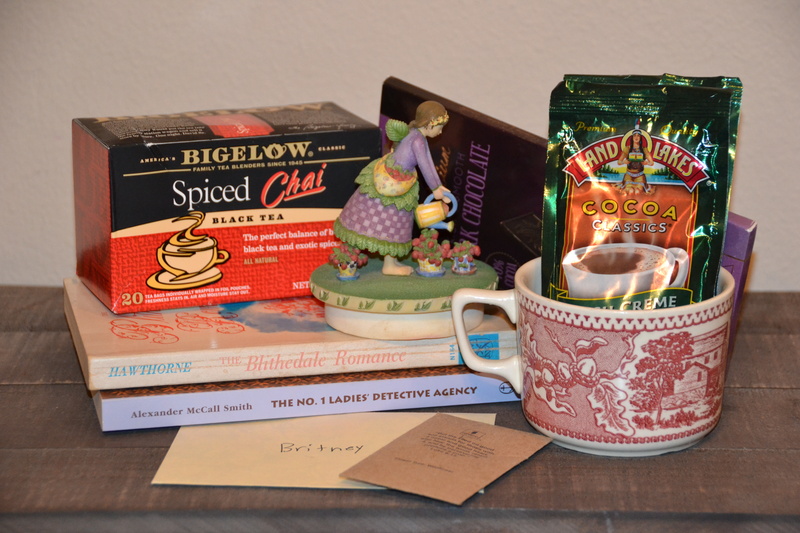 I enjoyed reading Tea on the Titanic and look forward to hosting my own tea party! First Class Etiquette is a charming little book! 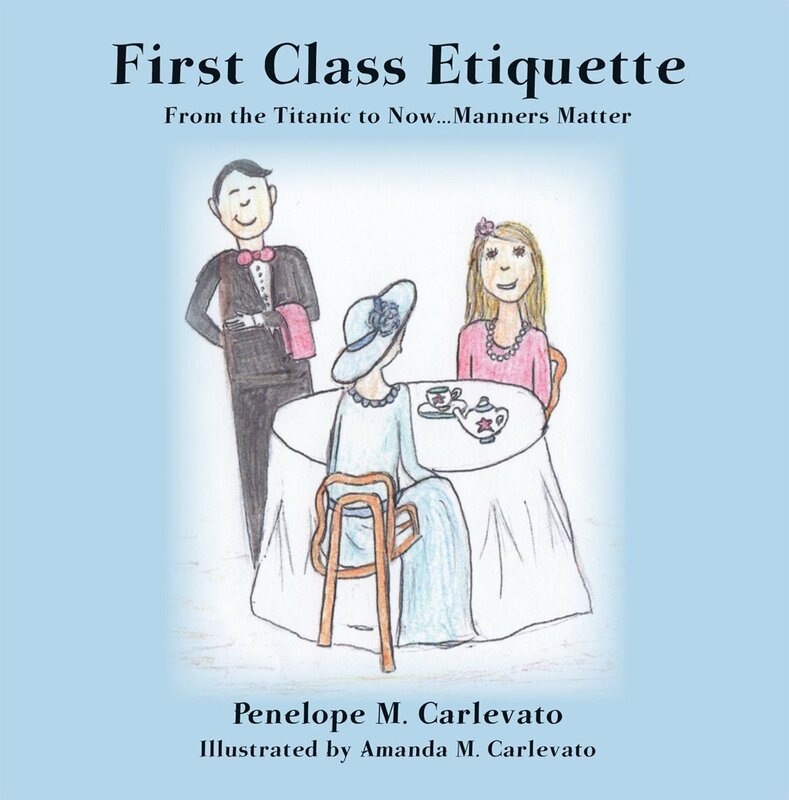 Penelope Carlevato shares her knowledge of manners, etiquette, and tea in this simple guide for parents and children alike. I enjoyed the history of the Titanic that was given at the beginning of the booklet, as well as the explanation of the passenger classes and their mealtimes. I also enjoyed the tea table manners that were given. They are accompanied by delightful illustrations drawn by Penelope’s granddaughter Amanda. Tea party etiquette is also included, as well as a sample menu and recipes. First Class Etiquette is a fun way to teach, as well as learn, tea time manners and etiquette! Penelope Carlevato was born in England and moved to US as a little girl. She was raised in an English home on the plains of South Dakota. 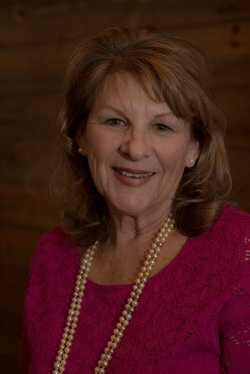 She has been involved with the tea industry for over three decades, from having her own retail tea business, writing and speaking about tea to women’s groups, tea, and historical organizations, and business events, and a tour leader for her annual “Taste of Britain” tea tours. A love of the Edwardian era and the traditions of that time period, was the motivation for both of her books. She is the grandmother of 11 and resides in Denver, CO.
Penelope has graciously offered to give away one print copy of Tea on the Titanic and one print copy of First Class Etiquette. Two books ~ two winners! Please leave a comment, including your email address, to be entered. This giveaway is open to residents of the United States and ends Monday, February 9 at 11:59 p.m. CST.